Box Elder (Acer negundo) is a tree in the Maple family. 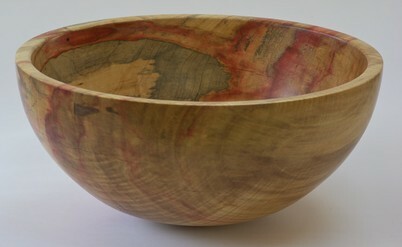 Like many of its siblings, it can have wonderful figure, but in addition to the chatoyance often seen in Maples, it has an extra trick up its sleeve: when conditions are right (or, from the tree's point of view, when conditions are wrong) it develops astonishing bright red streaks through the otherwise creamy wood. 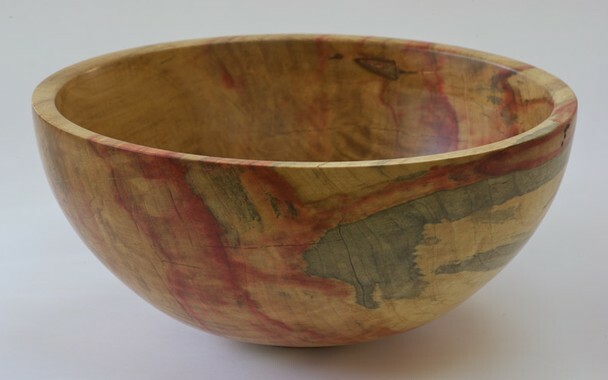 When this happens, the wood is usually called Flame Box Elder (often abbreviated to FBE). It's a great wood to turn - especially when freshly cut and still has plenty of sap. The bright red and cream and yellow shavings fly, sap streaks on the face shield, and the wonderful patterns and figures in the wood reveal themselves. 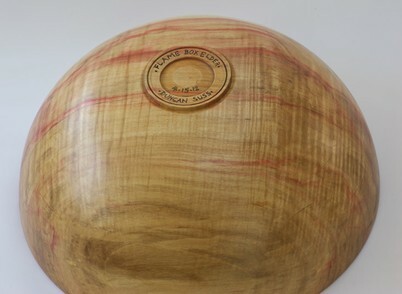 For more information about Flame Box Elder (and lots of pix), please click on THIS LINK to visit the Hobbit House wood identification pages. 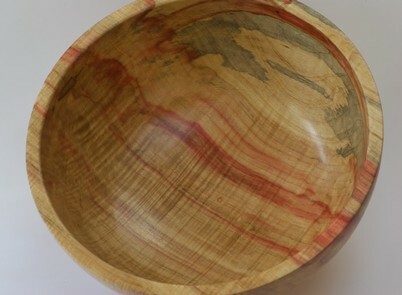 Bowl made of Flame Box Elder. A little over 8" diameter, about 4" deep.